She might not want to leave her books, but she'll love getting dressed up as the beauty from one of Disney's most famous movies! 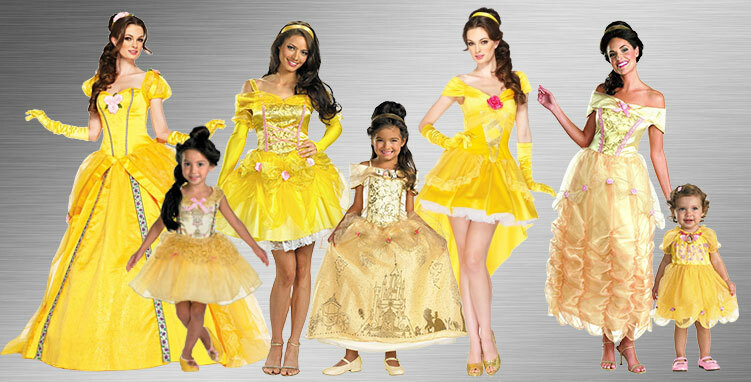 You and your daughter can both find the perfect outfits with these Belle Costumes, and your night of Halloween fun is sure to be unforgettable with these incredible styles! From loving unconditionally to learning to forgive, the story of Beauty and the Beast is full of life lessons that span across countless generations. While she may be the most beautiful girl in the village, Belle is headstrong, wise beyond her years and loving. This heart-warming story is the perfect inspiration for costume ideas. You will feel confident dressing your little girl up as this princess role model, or even taking a little time to play dress up for yourself once again so you can enjoy the opportunity to relive your childhood. This classic tale, it turns out, knows no age limit. You will be the Belle of the ball when you waltz your way into your next gathering dressed as this stunning Disney Princess. 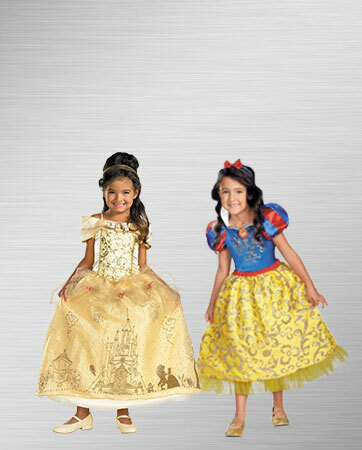 Whether you have your heart set on being the beauty or the Beast, you will find everything you need for the perfect costume for the occasion. You won’t be overlooked in this stunning yellow gown. From head to toe, you’ll look like the Belle of the ball. While you may feel dainty, you know how to handle yourself when you need to. Show them you have it all – beauty and brains. You may be a bookworm by day, but you want to enjoy yourself at night. All eyes will be on you in this enticing Belle costume. If you want to be treated like a Princess, you might as well play the part. Dress up like Belle and put the beauty in beautiful. Every little girl is a princess. Let your little one enchant you with her beauty, wit and unconditional love. Her beauty will be worthy of a storybook. 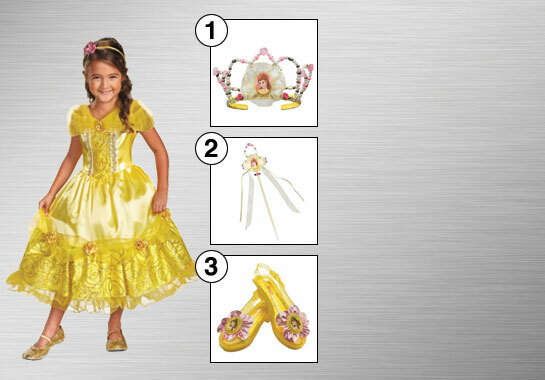 This Little Belle costume lets your girl shine at her next costume party. 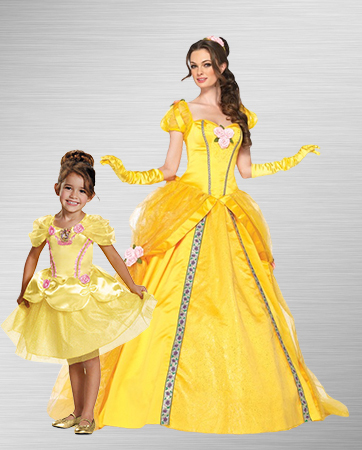 Your precious little girl will capture the hearts of even the coldest Beasts in this adorable Belle costume. She will restore hope, compassion and love in everyone who crosses her path. While she may be more interested in picture books, she will be well on her way to becoming the top of the class. Nothing will stop these caring princesses from showing the world that you catch more flies with honey than vinegar. 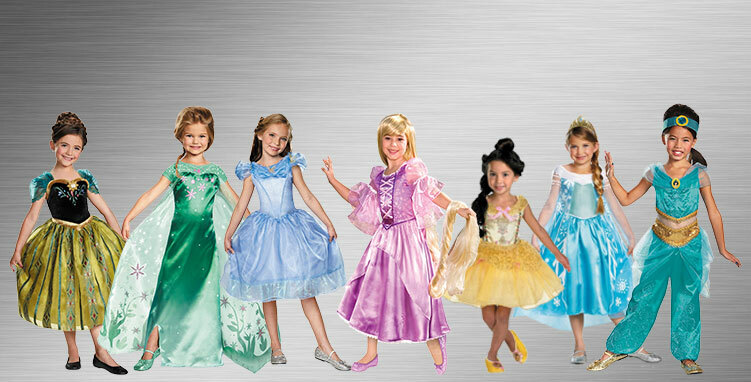 Let your sweet-natured little ones dress up like these loving role models for their next costume party. They’ll be the sweetest things there! Every little girl dreams of two things: dressing up like her mom and dressing up like and princess. For your next costume party, she can do both! Your little one will be the spitting image of you with the fiercely independent personality of her favorite beauty, Belle. 1. Matching Floral Headpiece – Belle never was much for the gaudy pieces. This small-village girl is down to earth and happily trades a precious tiara for a floral headpiece. 2. Yellow Satin Ball Gown with Detachable Back Bow – This iconic gown is the mark of the beauty. As you descend the stairs, there will be no question about who is the true Belle. 3. Venice Lace Applique – This classic look is fitting for the traditional style that Belle so gracefully wore. 4. Glitter Tulle Panniers with Soft Pink Floral Accents – Add a little shine so your smile lights up as you walk in the room. You will be simply glowing with sparkling tulle. 5. Officially Licensed Disney product – This is the real deal. You won’t have to question whether or not your costume will be true to what Belle looked like when it comes straight from Disney. No princess is complete without all of her accessories. While you may not want to have a candle, dresser and tea set follow you around all night, it certainly doesn’t take much effort to top your costume off with elegant accessories like a sparkling tiara, a magical wand and glittering shoes. With all these bells and whistles, you will feel like you have finally found the world you were meant to live in. No more small-town tedium or hanging out in bookstores. This is the glamorous life full of love and excitement that you were meant to lead. Kat Sketch created one of the most unique Halloween makeup looks we have ever seen. She made a Beauty and the Beast makeup tutorial just for us. 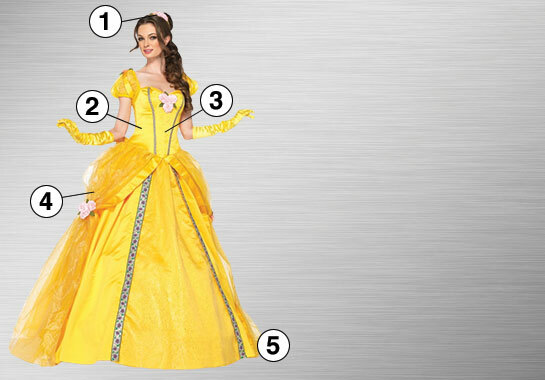 Her half-Belle, half-Beast creation is the perfect way to make your Belle costume even more unique.